Fantastic handbag with a flower motif. These can be hydrangeas, sunflowers, daisies or other. You can also combine different types of flowers. Be inspired by a summer garden full of wonderful colours. The bag has a great texture and stitching. It’s comfortable and very practical. It’s a free pattern. You can make it in white, black or your favourite colour. The suggested yarn is Red Heart Super Saver Solids. 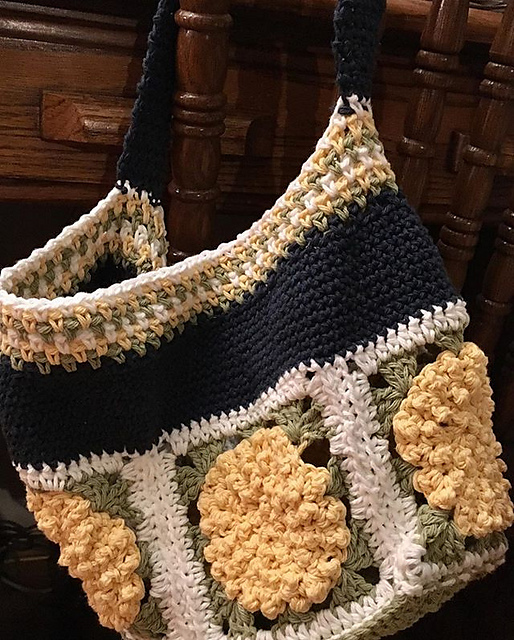 The bag can be made in any size. It all depends on how many rounds you make. 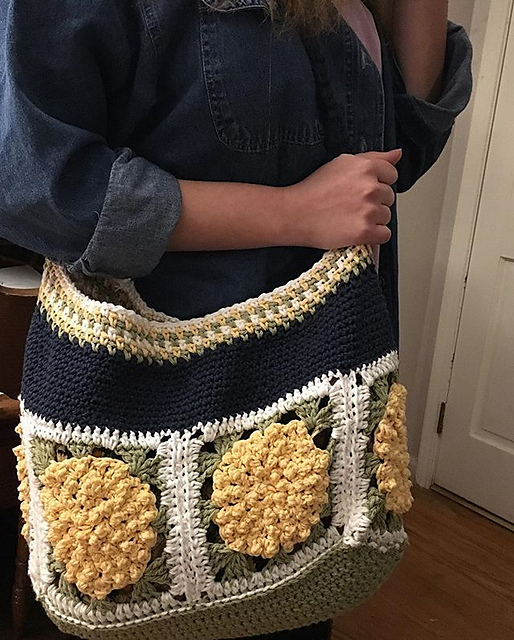 Endless Summer Bag Free Crochet Pattern is here.